When my friend got his first gaming keypad I thought it was the coolest thing ever, but back then I never really had a PC powerful enough to play any games that needed one. That all changed though when I got hooked on Runescape and then Old School Runescape! Having a gaming keypad at your fingertips that you can program so that you can have certain buttons doing certain tasks at the click of a button makes things a million times easier. I now use my gaming keypad for pretty much any PC game that I play as it is so much easier. Today I am sharing with you my gaming keypad of choice and why I feel you need to get this one if you are interested in a gaming keypad. I price checked this Razer Tartarus V2 on the 20th April 2019 and found the best price for this Razer Tartarus V2 here. The Razer Tartarus V2 is the best gaming keypad that I have ever used and it is, in all honesty, the fourth one that I have used over the years and it is head and shoulders above all the others. The first thing that captures your eye about the Razer Tartarus V2 is that it looks very cool. They have made this look like something out of a sci-fi movie and that along with the close to 60 bucks price tag is what really captured my attention and made me pick it up. Also, those close to 600 customer reviews did not hurt it either. Here are just a few of the features of the Razer Tartarus V2 which have made my gaming life easier. I find that any game like Old School Runescape or a first-person shooter that has a ton of different buttons for different things is made much easier with this keypad. 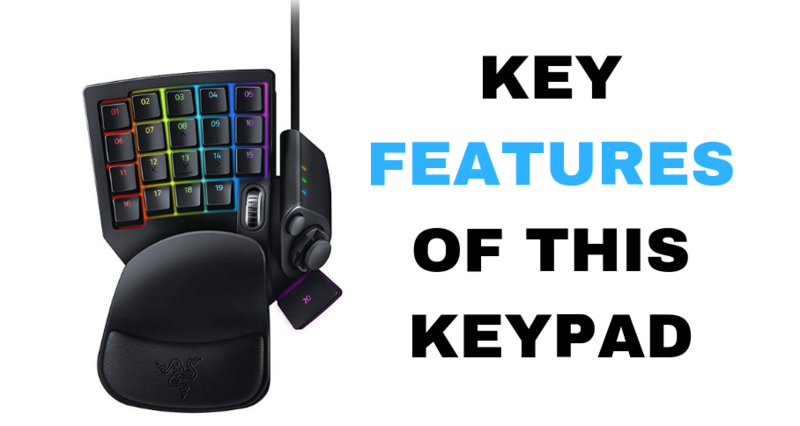 This is the feature that made the Razer Tartarus V2 perfect gaming keypad for me. It has 32 different buttons that you can program to just the way you want. Going back to Old School Runescape as an example. I have made it so many of the buttons have their own function like healing, doing a particular spell and so on. It may take a while to remember all the hotkeys you have set up, but eventually, it becomes second nature and there is no going back to using your keyboard. It also has this really neat thumb pad on the side that I like to use for navigating menus. However, this can activate “hyper shift” mode as well which lets you add even more functions to the keypad should you need them. Ok, so this is not a feature that is actually going to make any difference in terms of how it plays. But there are a ton of LED lights inside this thing and you can actually program them to put on a cool light show for you. To be honest, I never bothered with this, but having the lights just glow and dim is really cool and adds a little ambiance when I am gaming in the dark. While there is a way more expensive version of this keypad (like twice the price practically) the comfort this offers when gaming makes it something I would never really want to look for an upgrade. It has a cushioned rubber membrane dome that your wrist rests on. This works very well and I have never found myself getting sore or achy even after a long gaming session. The buttons also have a really nice click to them so you do not have to press them too hard in order to get your button presses to register. I will be honest and say that not every game I play benefits from the Razer Tartarus V2 or another gaming keypad. However, there are many that do and I really could not imagine playing these without my keypad. It is just so convenient having this at my side! I price checked this gaming mouse on the 20th April 2019 and found the best price for this gaming mouse here. If you are looking for an awesome gaming mouse to go with your gaming keypad then I highly recommend you check out this UtechSmart Gaming Mouse. I would actually say that this mouse would be great if you want the functionality of a gaming keypad, but do not want to have another device plugged into your computer or take up space on your desk. This Mouse is designed with gaming in mind. As well as being the perfect weight thanks to the weight turning cartridge. It is designed to be comfortable for long gaming sessions. It also has its own keypad on the side which is great for games like OSRS and other MMO’s that require a ton of different buttons for various things. I am not sure how practical they are right on the side of the mouse, but this is a gaming mouse that actually has a ton of very positive reviews and people seem to really like that. While for me the Razer Tartarus V2 is perfect here are a couple other awesome gaming keypads that are worth you taking a closer look at. I price checked this Singlehanded game board on the 20th April 2019 and found the best price for this delux gamepad here. 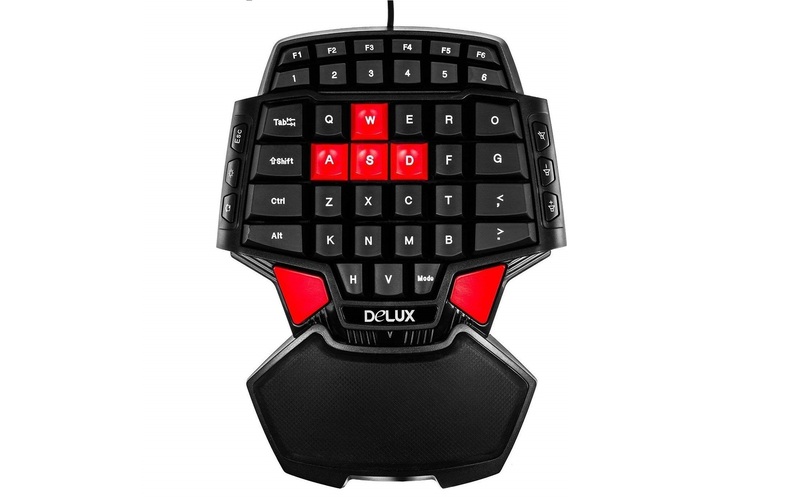 I really wanted to have a gaming keypad that was under 50 bucks and the Delux T9 46-Key Singlehanded Wired Gaming Keyboard is actually under 30 bucks as I write this. The price point makes it great if you are on a budget or even just want to try out a gaming keypad without spending much money on it. What I like about this is that they have gone for a rather smaller form factor, but not at the expense of the number of keys that are on it. You cannot program the keys that are on here, but if you want something that is always on hand and at your side then it is worth checking out. As well as having all the keys you would need for most games at your fingertips, I like how they have used some nice padding so that your wrist will not ache during those long gaming sessions. While the lack of programmable buttons may not make this ideal for everyone. I do think that for those looking to test the waters of if a gaming keypad is for them this would be a good place to start. I price checked this Razer Tartarus on the 20th April 2019 and found the best price for the Razer Tartarus here. I am a huge fan of Razer products and wanted to include another one here. 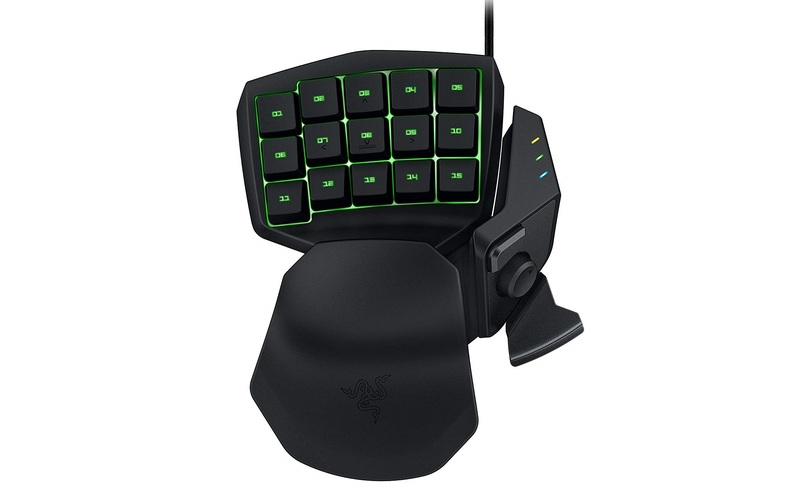 The Razer Tartarus is regarded as one of the highest quality gaming keypads on the market. First thing I want to talk about is the design. This is a gaming keypad that is all about business! They have made this bad boy look cool, sleek and professional and I really like that. Razer also insists on comfort and as a result, this has that same kind of well made body and padding as their other gaming keypads. There are 25 buttons on this that are all made very, very well and you can actually program every single one of these. So if you are playing some kind of complicated MMORPG or a first person shooter, you can have all your most popular and time consuming commands mapped out to a single button that is always at your fingertips. It also has the 8-way thumb pad that Razer loves to use and you can program this how you want as well. My advice though is to use this for getting around submenus as quickly as possible. The Razer Tartarus also lets you play around by customizing the backlight. There are a ton of different colors and if you want you can even make it put on a light show while you are gaming which is pretty cool. I am a huge fan of what Razer does with their gaming PC products and really wanted to put a second Razer keypad on her for you to consider. I really do think that the Razer Tartarus V2 is one of the best gaming accessories I have ever bought. I think that actually calling it just an accessory is doing is a huge disservice as there are some games that I simply could not imagine or go back to playing without it. Once you program it for a specific game and have all of those commands right at your fingertips there is simply no way that you can go back to using your regular keyboard for your gaming needs as it will feel clunky and awkward. 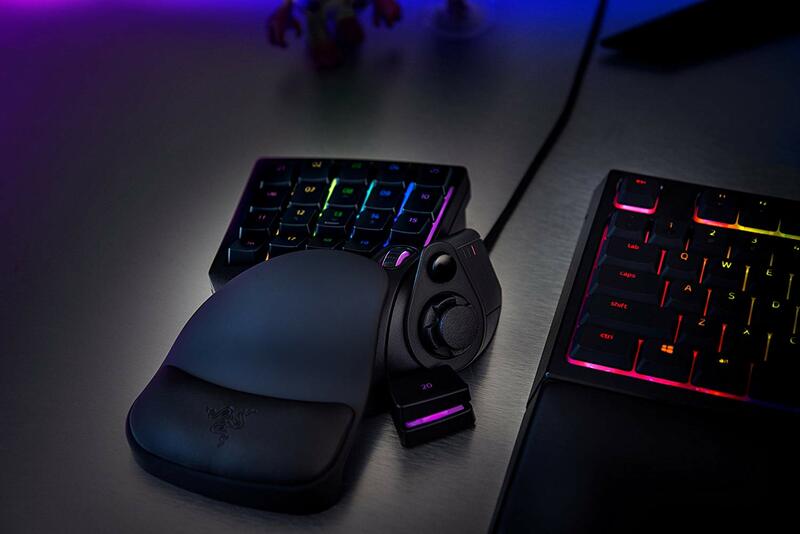 The asking price of the is more than fair and if you do not like that one then check out the Razer Tartarus which I feel is another solid gaming keypad and worth taking a closer look at.